Sometimes there are things you do on a family vacation that are just for the kids. 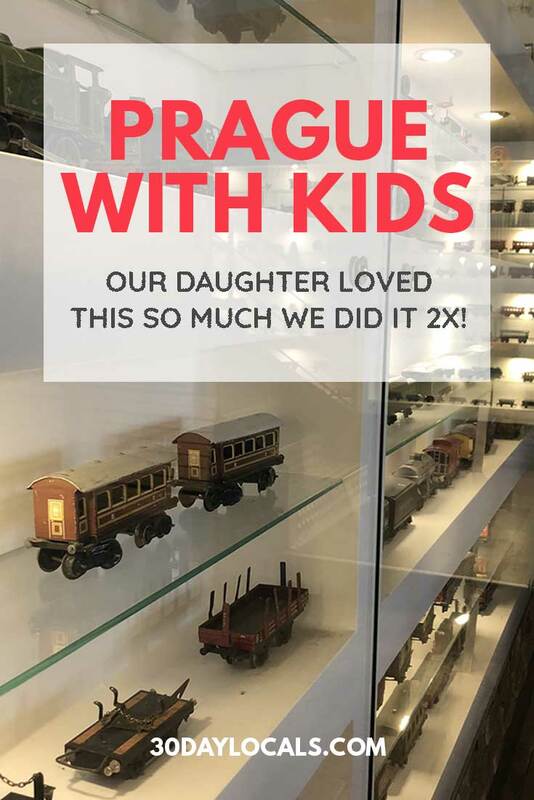 Our top tip in for visiting Prague with kids is one such thing. Of course, you parents will want to stroll along Charles Bridge, visit Prague Castle, go to the Lennon Wall, and generally just take in the beautiful city. Your kids will not care about that. Okay, maybe some of it will be mildly entertaining, but they will only want to do this one thing. And if you go to early in your trip, you will most likely get harassed into going again like we did. What is this magical thing I speak of? 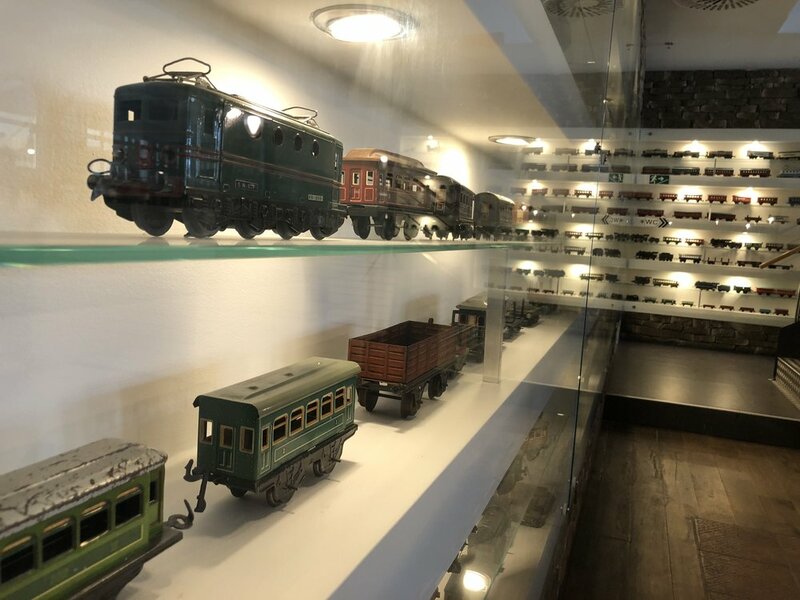 It is the model train that delivers your drinks to your table at Vytopna. 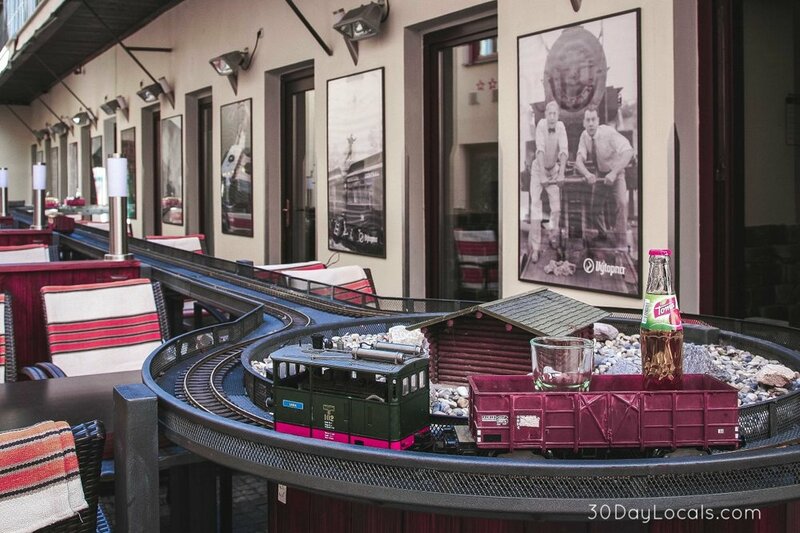 Yes, the restaurant is laced with train tracks and each table is programmed for a delivery train to bring whatever beverage was ordered by the table. Eleanor had such fun with this that we even got suckered into buying 2 rounds of drinks the first time we went to the restaurant. Which, of course, had to be repeated on our second visit to the restaurant. The funny part was, it turned out to not be just for the kids! We witnessed several tables of adults only there to order tall beers and marvel in delight at the train stopped by their table in lieu of the waiter. We even sat next to some 20-somethings on a double date. How cute! So where is this magical restaurant? There are 2 locations in Prague. The first is in Wenceslas Square (Wenceslas Square 56, Prague 1). This was the smaller of the 2 restaurants and the first one we visited. It was busier, but we did not have difficulty finding a table as we got there early for dinner (by American standards so even earlier for Europeans). By the time we were wrapping up, the restaurant was filling up so I could see why you would want a reservation. The second location is in a shopping mall called the Palladium Center (Náměstí Republiky 1, Prague 1). This one looked smaller at first glance, but is quite large when you get to the back of the restaurant - most notably is the giant outdoor space which was closed during our visit. 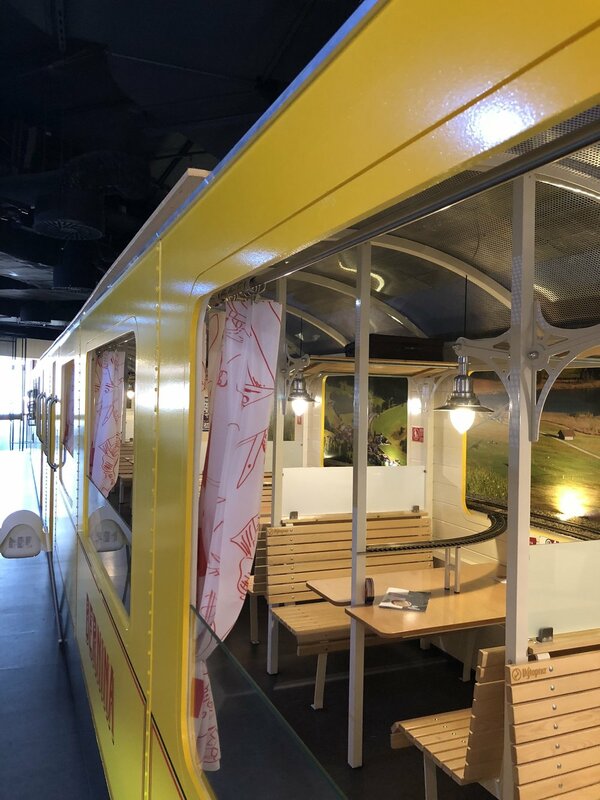 This location also has a real train car that you can sit in. We came for a late lunch and so the restaurant again was not very busy. We should stress that this is not a restaurant you choose for a gourmet meal. It’s mostly pizza, sandwiches, and pasta with a few traditional Czech options. 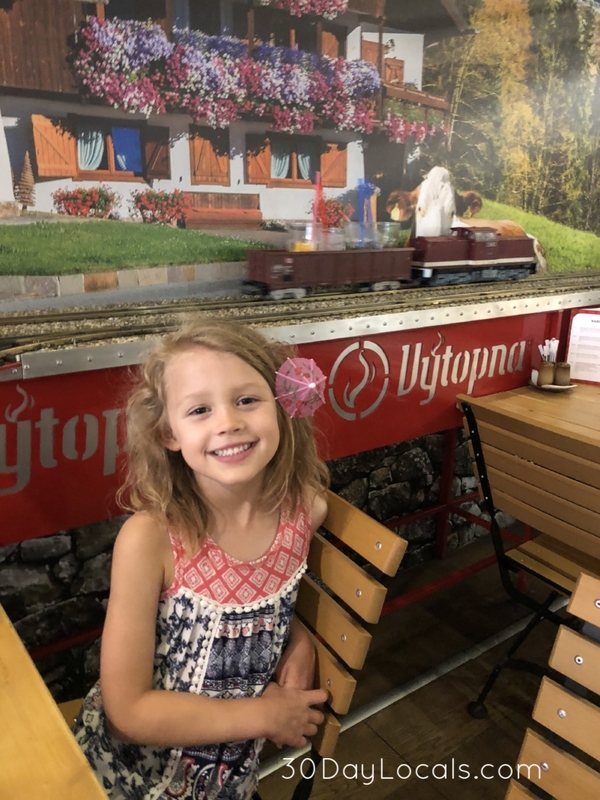 We chose the pizza on both of our visits and commented that the pizza at the Palladium location was far and away better than the pizza at the Wenceslas location. We’ll leave it up to you if you want to go for the food, or just the drinks. Either way, you have to go for the smiles it will bring to your child’s face! Be sure to pin this for reference later!